Michael Parkinson occupies a unique place in the public consciousness. Through his perceptive onscreen interviews over the past five decades, he has introduced millions of people to the personalities of major international figures in sport, showbiz, politics, the arts and journalism. 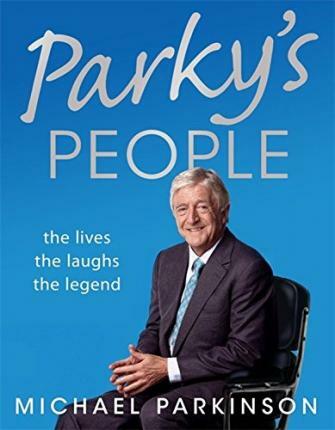 In Parky's People, Parkinson sets down on record the highlights of his interviews which provide an intimate insight into the private lives and personal characters of great celebrities from around the world, from Tony Blair and Henry Kissinger, John Betjeman and WH Auden, to Ken Dodd and Elton John. Now an international celebrity himself, the man from a humble but colourful Yorkshire mining family has teased the secerets out of even the most reticent star guests, such as Fred Astaire and Ingrid Bergman, and he has drawn fascinating new information and insights from even the most frequently interviewed subjects like Peter Ustinov, David Niven and Stephen Fry. Remarkable interviews with Edith Evans and Ben Travers demonstrate that Parkinson's empathy with the old is as evident as his easy familiarity with sportsmen like George Best, Muhammad Ali and David Beckham. Great comics such as Billy Connolly, Bob Hope, and Morecambe and Wise prove as funny on the page as on screen and it seems that the star of every Hollywood legend shines brightly under Parkinson's subtle questioning. With a little help from his friends, Parky's People is witty, always perceptive, often wise, and never less than compulsive reading. Michael Parkinson is not only a legendary TV and radio presenter, both in the UK and Australia, but an award-winning journalist. In 2007 he announced his retirement from his ITV chat show, but will continue his involvement with TV and radio. Michael Parkinson was awarded a knighthood for services to broadcasting in the 2008 New Year's Honours list.